February 22, 2019 - Our next Smart Data Meetup will take place on March 22 at 7.00 pm at the econda office in Karlsruhe. Beside news and updates from both metaphacts and Stardog, we have three technical talks lined up. The Rhein-Neckar Smart Data Meetup is an informal group of industry professionals and academics who regularly meet to discuss all issues relevant to data integration, Linked Data, extracting knowledge from data, with a particular emphasis on knowledge graphs, semantic technologies and graph databases. December 14, 2018 - An article discussing the Siemens Industrial Knowledge Graph was recently included in the Online Themenspecial, a newsletter published by the German IT magazine OBJEKTspektrum. Leveraging semantic technologies and the metaphactory platform, the Industrial Knowledge Graph has become an integral element in Siemens' strategy towards intelligent engineering and manufacturing. It powers various business use cases, including gas turbine maintenance, building automation, and internal R&D management, and generates business value in real-life applications by significantly increasing transparency, reducing redundancy, improving internal processes, and reducing the time required to find and analyze information and reach smart business decisions. 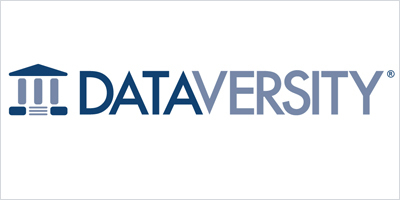 September 24, 2018 - We are excited that metaphactory was recently featured in a blog post on data.world! The blog post explains how customers can easily use data.world together with metaphactory to rapidly build new applications. For this particular demonstration, the FIBO financial ontology on data.world was used to build a custom app which allows users to find connections between all transaction stakeholders and detect fraud and suspicious patterns. Do you want to try it and see how it works? Register here to access the CloudFormation template and create your own metaphactory platform connected to a data.world dataset. September 18, 2018 - We are proud to announce that metaphactory for Amazon Neptune is now available on AWS Marketplace! September 6, 2018 - For the 4th consecutive year, metaphacts is a Gold sponsor of the International Semantic Web Conference (ISWC), taking place October 8-12 in Monterey, California. This year, ISWC will be cycling to the conference venue and the metaphacts team is happy to sponsor and take part in the bike ride - a total of 97.2 miles covered in two days! Building Enterprise-ready Knowledge Graph Applications in the Cloud - In a joint half-day tutorial taking place on Tuesday, October 9, Peter Haase (metaphacts) and Michael Schmidt (Amazon Web Services) will discuss the fundamentals of building Knowledge Graphs in the cloud. The hands-on examples will be performed using accounts set up in the AWS cloud, backed by the Amazon Neptune graph database service with the metaphactory platform deployed on top. Use Cases of the Industrial Knowledge Graph at Siemens - In this presentation taking place on Friday, October 12, Siemens and metaphacts will share details on how semantic technologies and the metaphactory platform are used at Siemens in Industrial Knowledge Graph use cases such as risk management, process monitoring, machine serving operations and factory monitoring, and generate business value in real-world applications. September 5, 2018 - metaphacts is sponsoring this year's CIDOC-ICOM Conference taking place in Heraklion, Crete from September 29 to October 5. In a Poster Session on October 4, Artem Kozlov of metaphacts will present metaphacts' solution for building, managing and interacting with knowledge graphs for Cultural Heritage. CIDOC 2018 focuses on the topic of provenance of knowledge and, thus, aims to support museums by helping deepen their communal knowledge and understanding of documentation as a means of knowledge preservation, dissemination and exchange. 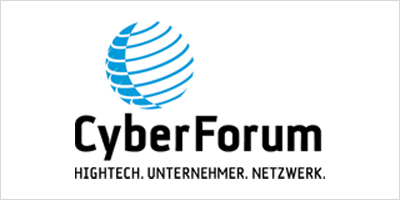 June 20, 2018 - We are delighted to announce that metaphacts is now a member of CyberForum, the largest hightech business network in Europe! CyberForum supports businesses from the IT and high-tech industry in all stages of their development: from startup consulting to professional staffing and even location marketing campaigns. "We are happy to be part of this strong community and look forward to connecting and collaborating with members from various branches, participating in interesting knowledge exchange sessions and starting up new, exciting projects", commented Dr. Daniel Herzig-Sommer, COO at metaphacts. In August 2017, metaphacts acquired SearchHaus, a startup that was awarded the title "CyberLab Certified Enterprise" after successfully completing the CyberLab Incubator Program. 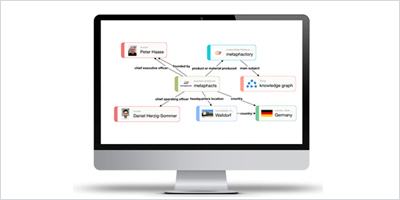 November 29, 2017 - Siemens and metaphacts are among the first Amazon Neptune users and show several use cases for enterprise knowledge graphs using the new service and metaphactory. At AWS re:Invent, Amazon Web Services (AWS) announced Amazon Neptune, a new fully managed graph database service that makes it easy to build and run applications that work with highly connected datasets. In a joint presentation on Friday Dec 1, Siemens and metaphacts will provide details on how they use Amazon Neptune, standalone graph stores, and the metaphactory platform to drive use cases for enterprise knowledge graphs. 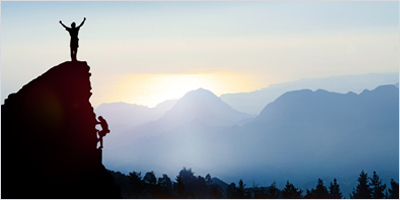 Leveraging this combined solution, Siemens powers an intelligent knowledge hub combining structured and unstructured data from different sources and business units in a unified data space. This knowledge hub can also be used as a smart knowledge factory generating new knowledge.